Thrombosis CanadaTM (TC) promotes excellent patient care and improved outcomes, for patients with thrombosis, through high-quality knowledge translation, educational resources and point-of-care guidance for diverse groups of healthcare professionals, as well as delivering education for patients and the general public. Thrombotic vascular disease, which encompasses myocardial ischemia, stroke, peripheral arterial disease, and venous thromboembolism, represents the single greatest risk to the health of Canadians. 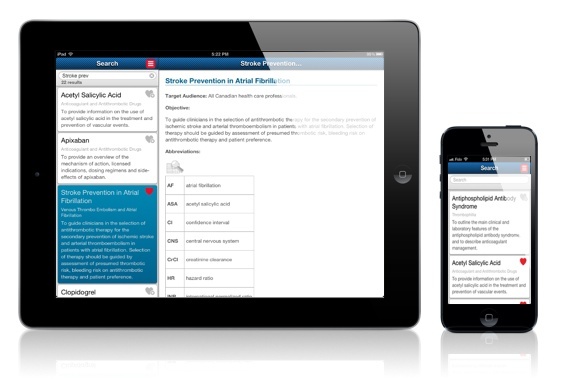 By bringing evidence-based primary and secondary prevention strategies to Canadian clinicians, the human and economic burden of vascular disease will be reduced. We believe that providing point-of-care clinical guidance, founded on national and international guidelines, is the most effective and cost-efficient way to improve patient safety and outcomes, within a framework of patient-centred values and preferences. Thrombosis CanadaTM, formerly known as Thrombosis Interest Group of Canada, has been the voice of vascular medicine in Canada since 1991. 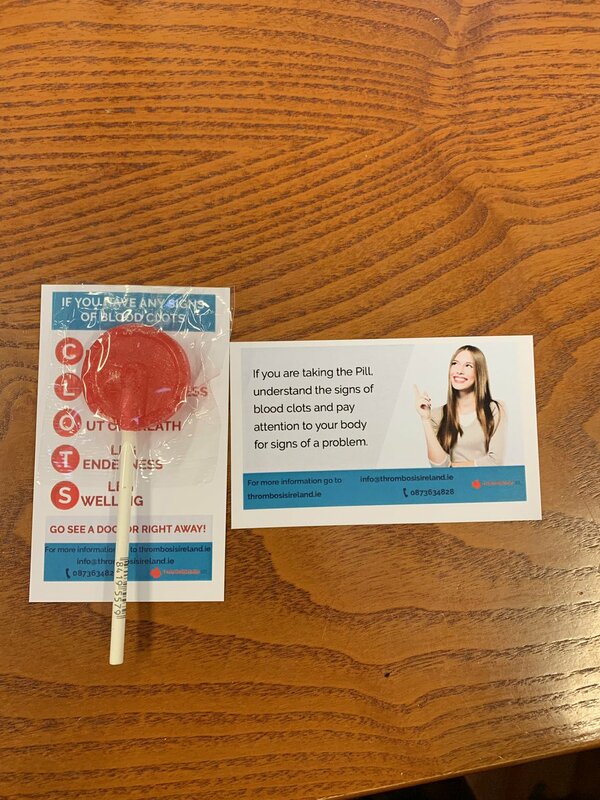 Thrombosis CanadaTM is a Canadian registered non-profit organization with no commercial interests. The organization boasts a membership including the most eminent and internationally recognized thrombosis experts globally. 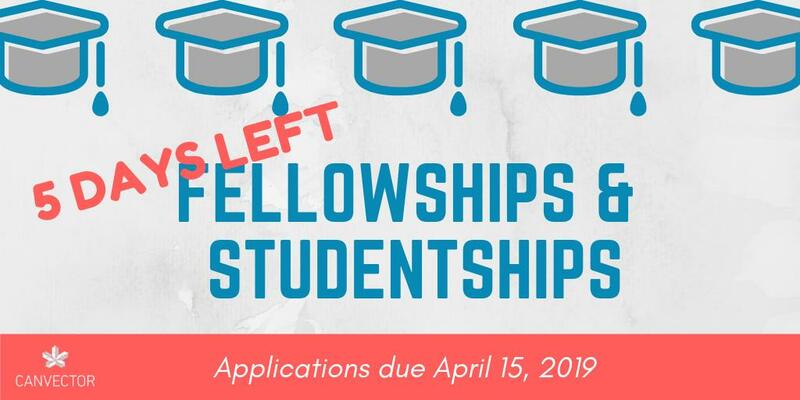 Members have made many significant contributions to the body of knowledge in vascular medicine and disseminated that knowledge through countless peer reviewed journal publications and books as well authoring national and international clinical practice guidelines. Members represent medical and non-medical generalists and specialists. 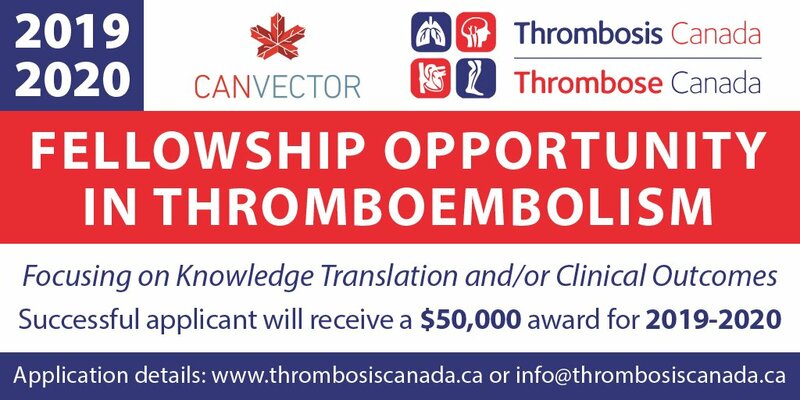 Further research and human resources in vascular medicine through the Thrombosis CanadaTM Fellowship. Recipients are responsible for over 1000 peer reviewed publications. Vascular disease represents the single greatest risk to the health of Canadians and a huge economic burden to the health care budget. Partnered with fellow organizations, Thrombosis CanadaTM is uniquely positioned to improve the care in this common and often catastrophic disease spectrum.